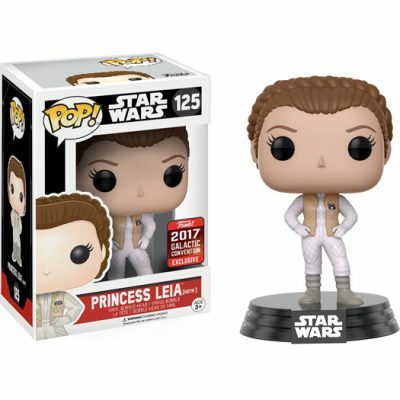 Princess Leia (Hoth) 2017 Galactic Convention Exclusive, from Star Wars as a stylized POP vinyl from Funko! 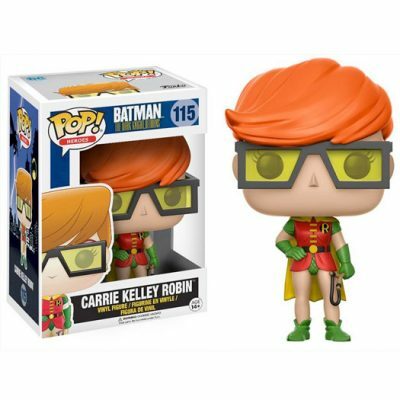 Stylized collectable stands 3 ¾ inches tall. 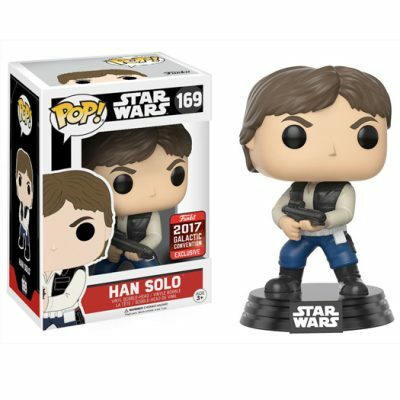 Han Solo (Action Pose) 2017 Galactic Convention Exclusive, from Star Wars as a stylized POP vinyl from Funko! Stylized collectable stands 3 ¾ inches tall. 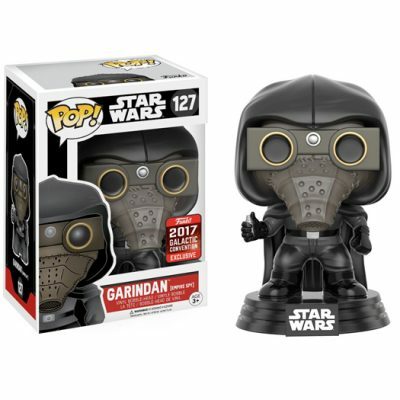 Garindan (Empire Spy) 2017 Galactic Convention Exclusive, from Star Wars as a stylized POP vinyl from Funko! Stylized collectable stands 3 ¾ inches tall. 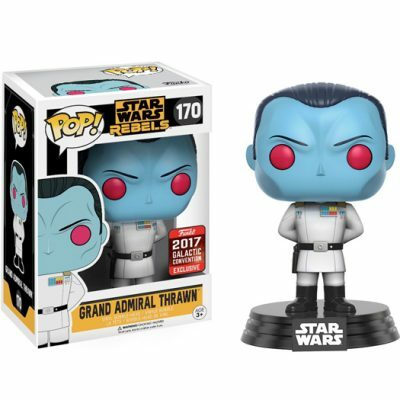 Grand Admiral Thrawn 2017 Galactic Convention Exclusive, from Star Wars as a stylized POP vinyl from Funko! 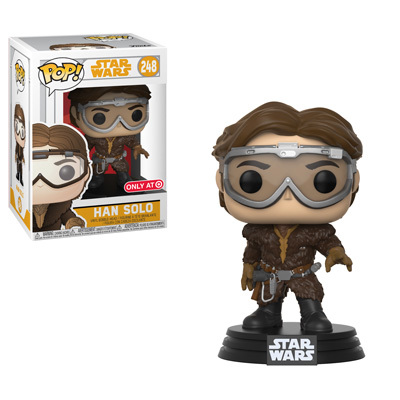 Stylized collectable stands 3 ¾ inches tall. 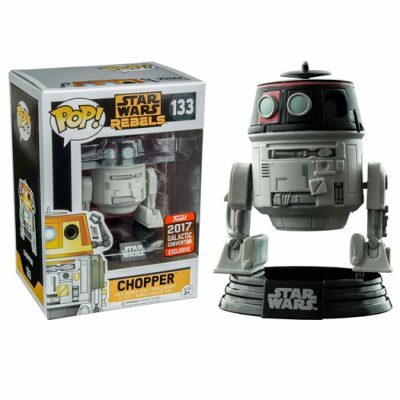 Chopper 2017 Galactic Convention Exclusive, from Star Wars Rebels as a stylized POP vinyl from Funko! 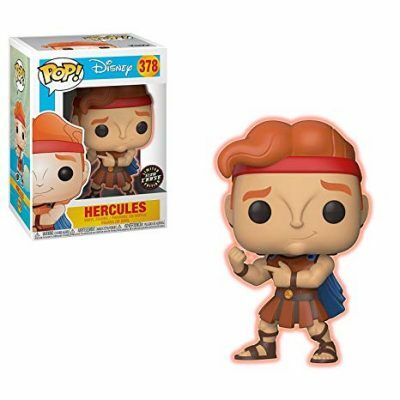 Stylized collectable stands 3 ¾ inches tall. 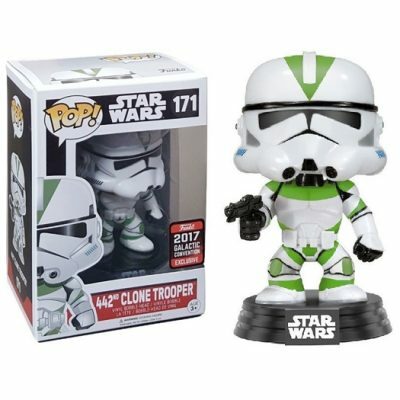 442nd Clone Trooper 2017 Galactic Convention Exclusive, from Star Wars as a stylized POP vinyl from Funko! 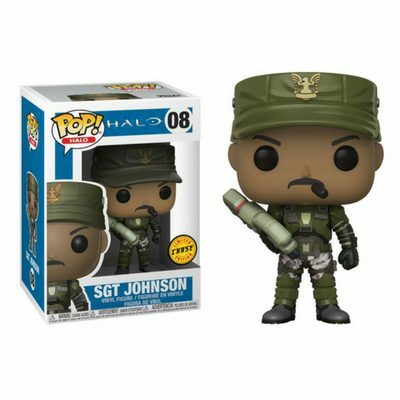 Stylized collectable stands 3 ¾ inches tall. 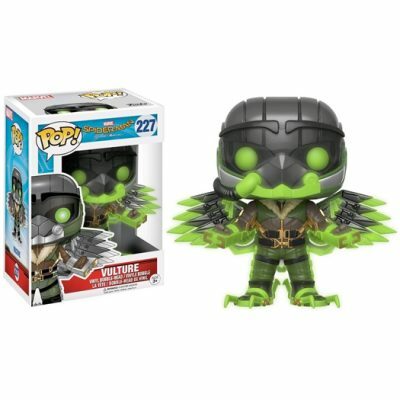 Vulture Exclusive, from Spiderman as a stylized POP vinyl from Funko! Stylized collectable stands 3 ¾ inches tall, perfect for any Vulture fans.